Prime numbers are a central topic of study in maths. Despite being an object of fascination for millennia, there are still a lot of unsolved problems involving primes. Studying numbers, then, basically amounts to studying the properties of prime numbers. Mathematicians have, over the millennia, figured out quite a bit about the prime numbers. One of Euclid’s most famous proofs shows that there are infinitely many primes. The basic idea of the proof is that if there were only finitely many primes, and we had a list of all of those prime numbers, we could multiply them all together and add 1, creating a new number that isn’t divisible by any of the prime numbers on our list. That number would either itself be a prime number not on our list, or would have a prime divisor not on our list. Either way, we contradict the idea that there could be a finite list of primes, and so there have to be infinitely many. Despite all the things we know about prime numbers, there are plenty of deceptively simple conjectures about primes that have not yet been either proven or disproven. Here are some of those conjectures. Twin primes are pairs of prime numbers that have just one number between them: 5 and 7, 11 and 13, and 29 and 31. The twin primes conjecture is that there are infinitely many pairs of twin primes among the infinitely many prime numbers. After remaining a completely open question for centuries, in spring 2013, University of New Hampshire mathematician Yitang Zhang made a breakthrough in the problem, for which he was awarded a MacArthur “Genius” fellowship in September 2014. 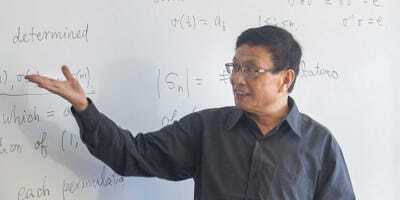 While still not proving the twin primes conjecture itself, Zhang invented a novel technique that showed that there are infinitely many pairs of prime numbers with no more than 70,000,000 numbers between them. That’s a huge number, but it was the first such finite limit on distances between primes that had ever been discovered. This is another simply stated problem. Goldbach’s Conjecture says that every even number larger than two can be written as the sum of two prime numbers. This certainly holds true for smaller numbers: 4 = 2 + 2, 8 = 5 + 3, 20 = 13 + 7, but it hasn’t been proven for all even numbers. Researchers armed with 21st century computers and well-designed programs have verified the conjecture for even numbers up to 4,000,000,000,000,000,000. This is pretty good evidence for the conjecture, but in mathematics, saying that a conjecture holds for all numbers smaller than some ludicrously high finite bound is not enough to say that it holds for all numbers. My personal favourite prime number is Belphegor’s Prime: 1000000000000066600000000000001. That’s a 1, followed by 13 0’s, followed by a 666, followed by 13 more 0’s, followed by a closing 1. Given that 666 is the “number of the beast” according to Revelation 13:18, and 13 has a slew of superstitions attached to it, this is probably the unluckiest prime number possible in the decimal number system. Problems like Goldbach’s Conjecture and the twin primes conjecture rely solely on the structure and distribution of the primes themselves. But palindromic primes depend on the particular number system being used: binary palindromes are completely different than decimal palindromes. The prime number written in decimal as 31 is written in binary as 11111. In binary, this prime is a palindrome; in decimal, it is not. The Riemann Hypothesis involves an extension to the Prime Number Theorem mentioned above. That theorem gives a formula for the approximate number of primes smaller than some given large number. The Riemann Hypothesis gives a more specific result, providing a formula showing how accurate that estimate will be. 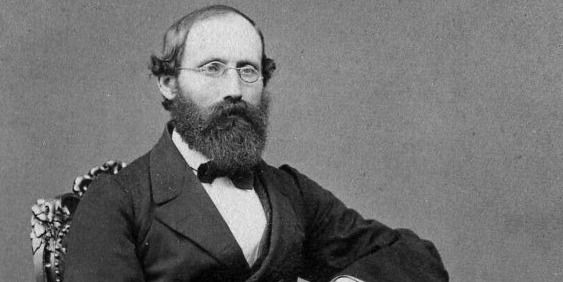 The great nineteenth century mathematician Bernhard Riemann connected that accuracy bound to a special function on the complex number plane. The actual Riemann Hypothesis states that all of the points on the complex plane where that function equals zero fall along a particular line in the plane. Should that be the case, the accuracy bound would also be true. This seemingly obsessive behaviour on the part of mathematicians is partially because rigorous proof is one of the main goals of mathematics, but also because any proof of the twin primes conjecture, or of the Riemann Hypothesis, would likely involve radically new mathematical techniques and insights, potentially leading to entirely new avenues of research and ideas to explore. In mathematics, it’s often the case that the journey to finding a proof is at least as interesting as the result itself.